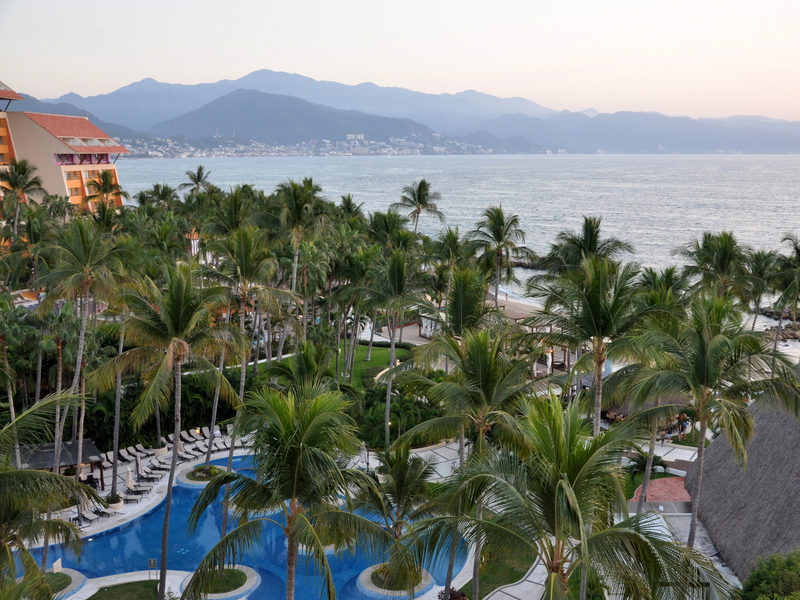 We’ve just returned from a three-day getaway to Puerto Vallarta, Mexico. What an exquisite place! Mike traveled there on business earlier in the week, and I followed Friday and stayed through the long weekend. We flew home late Monday night. After our protracted recovery from the flu, this trip was exactly what the proverbial doctor ordered. We walked along the beach, read, took naps, and explored the grounds of the gorgeous resort hotel. 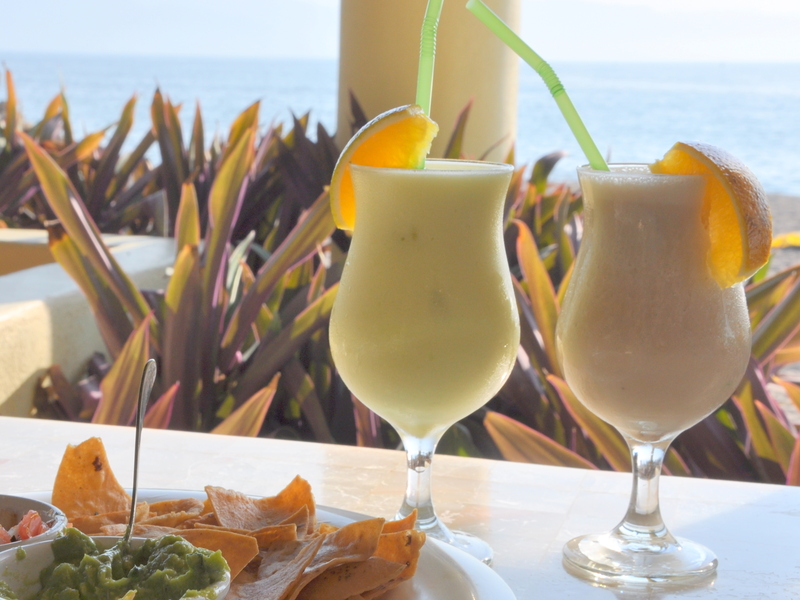 We enjoyed fruity drinks with our tortilla chips and guacamole in the casita facing the sea. San Jose has a heavy Mexican influence, but it was still fun to enjoy a dish that originated in Mexico. The name is derived from two Aztec Nahuatl words—ahuacatl (avocado) and molli (sauce). I’m always intrigued by the local wildlife, like this clever black bird, called a Great-tailed Grackle. He seemed to know that he could swoop in for a chip, after they cleared the dishes. He knew not to approach any of the tables with guests, but as soon as the dishes landed on a clearing tray, he made his move. Once he claimed the chip, he flew into the rafters, hopping and chirping from row to row. The Café Des Artistes is carved into the hillside and sits above Old Town, the heart of the city. The main floor is a bar, with the upper two stories featuring open-air dining under the trees. They seated us on the third floor surrounded by towering bamboo and ancient trees. From there we could look down on the garden terrace. I could go on and on about this place, but instead I’ll sum it up in one, long sentence: Dining in Puerto Vallarta with the man I love, sitting under a canopy of trees wearing a sleeveless dress with live music playing while enjoying a full-course vegetarian meal, served by a charming and devoted team of wait staff who delivered a story about each wine pairing left me breathless. What a night! 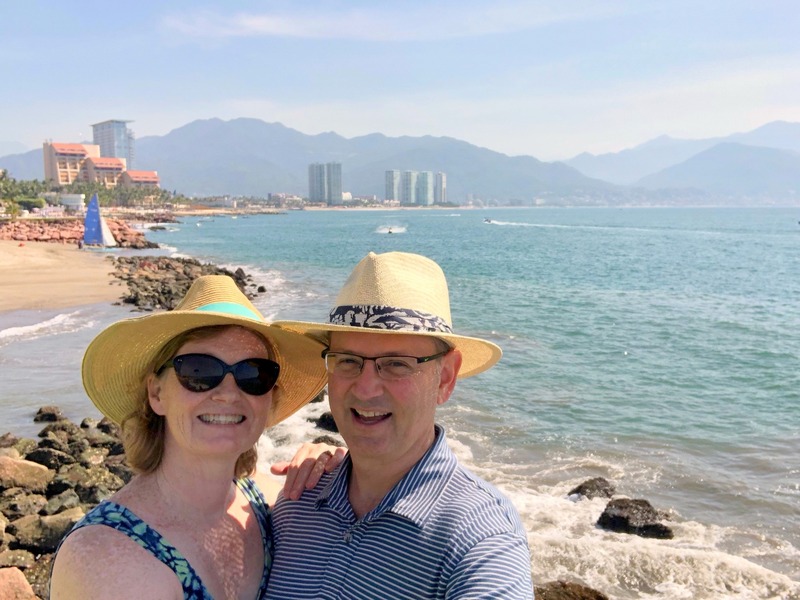 After our meal, we walked along the strand in Old Town Puerto Vallarta before heading back to the hotel. Three days passed quickly. We hope to return for a longer stay, to experience whale watching, snorkeling and other local activities when we have more time. Our hotel was an easy walk to the harbor filled with boats and lovely vistas, and of course we couldn’t help but price the local real estate. It never hurts to look, eh? I’ll leave you with a few more pictures of our trip highlights. Turtles sunning themselves in a pond next to a Japanese restaurant. This entry was posted in Holidays and tagged birds, Cats, Jalisco, Marriott Hotel Puerto Vallarto, Mexico, Mitzy, Puerto Vallarta, Puerto Vallarto, resorts, Romantic getaway, travel, turtles, Westin Hotel. Bookmark the permalink. Thank you, Cindy! What a place. Now that’s what I call a good weekend! 🙂 It will be a tough one to top, that’s for sure. ¡Qué hermoso y qué divertido! Those happy faces say it all, and I’m deeply envious. 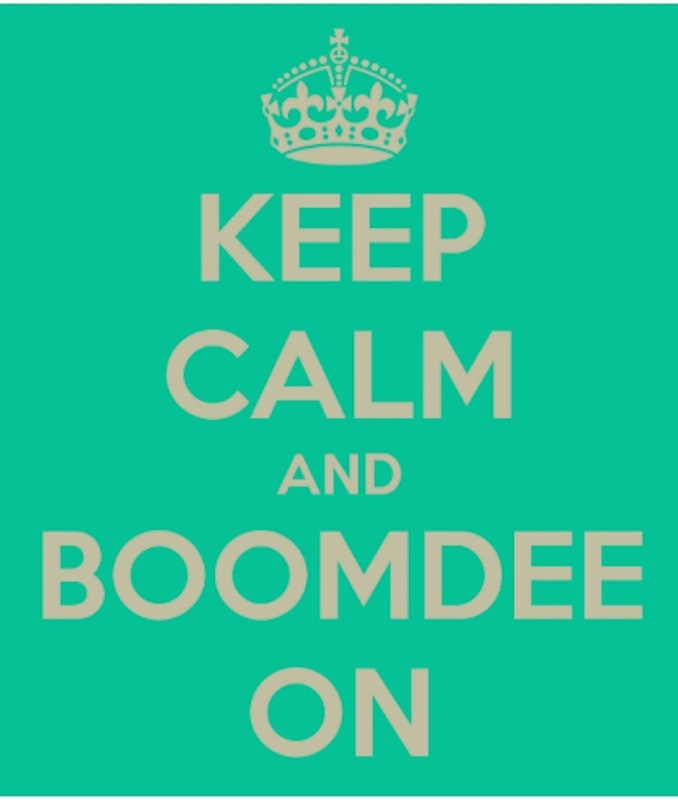 We have our own vacation coming up soon, but I’m ready for it right NOW! Hi Kate, Where are you off to next? Are you also suffering from the terrible heat? I hope your new windows offer protection from the sun. Next trip starts in mid February, and we’re off to the north, FNQ, to explore the gastronomic riches of the area. I fully expect to come home several kilograms heavier, but it’ll be a beautiful and peaceful trip. We’re luckier with the heat than some right now, but it’s still very hot in the day, and the heat doesn’t moderate much at night. South Australia’s the worst just now, with temperatures hovering around 107F. I’m thinking the windows are going to help a fair bit! Kate “beautiful” and “peaceful” sound good to me. I came home heavier, though we walked a fair amount and I’m back to business now that we’re home. Life is too short not to enjoy yourself along the way. 107F is brutal. We just installed AC after 21 years in this house. Last summer we had temps between 97 and 107 and it really took its toll. Oh, that is an added bonus. Do you capture the water in a tank, or does it simply return to the ground water? Pauline, Mike spotted two kittens, side by side while I was bathing. I spent the next two days hoping they would make another appearance, but no luck. We saw another cat at a neighboring hotel and then of course the delightful Mitzy. I felt right at home (but no litter box to clean and no bowls to wash.) We’re back to good health and plan to keep it that way. The AC installers have been here for two days, and will return in the morning for a final couple of hours. They’re both cat-lovers, and honored careful instructions about who could go out the front door (Mouse) and could not (Tessa and Lindy). Then for a brief time Tessa went missing. When she finally reappeared, it was from the crawl space under the house. The tip-off was the spider web mask she sported. I kept her in my room for the remainder of the day, and when they left they returned the trap door cover. Then M came home from school and could hear Mouse crying. He managed to sneak under there too! It’s been one of those crazy days. I love the image of Orlando sweeping with his tail. My now deceased Fluffy once came in with a snail embedded in her fur. I found it while petting her, to my great surprise. Ewwww. Yes, a cool home this summer will be an extraordinary treat. I’m so glad to hear that cooler temps have arrived. I know what you mean about doubling your energy. Hot weather really saps your energy. I often find myself picking snails and even slugs out of O’s tail, especially if he has been out in damper weather. Once I found a snail meandering across the kitchen counter in the area where O eats and figured it had dropped off his tail……… When I’m really broke I shall hire him out as a mobile leaf sweeper! It must be a fluffy tail thing. I try to imagine what that’s like for the snail, suddenly finding itself wrapped up in moving fur. Still, it sure beat the live rats Lindy used to bring indoors. Wonderful way to late-start a new year. I hope you’re completely energised for what’s ahead. And thank you for showing me the local wildlife- always a highlight! Hello Marianna. I’m glad you enjoyed the wildlife pics. Animals and birds are always captivating. I’m forever intrigued. In this single beautiful post you’ve captured so many of my favorite things about Mexico — without the sunburn! 🙂 I’m happy you and your fellow found your time in the sun so restorative. And thank you for sharing your gorgeous photos too, which are like a balm for my soul on this cold, dark, wintry morning. ¡Un abrazo! Hola, Heidebee! Thanks for your kind words and good cheer. I’m sure a few days in Mexico would do your soul good. You’ve had such a bitter cold winter so far. Have you been to this part of Mexico? My friend Marcia did her student teaching there (she’s a bilingual educator) and loved it.. Mike is a fluent Spanish speaker, so it really adds to my enjoyment hearing him converse with the locals. I’ve always struggled with a second language, and as such know a smattering of French and German, mostly useless in California. I would love to have his language skills. Do you speak Spanish? I love the thought of traveling with you! You know all the good places and have the eye and the appreciation for things off the beaten path. Mike’s parents immigrated to the US from Argentina (though his dad earlier immigrated to Argentina from Italy). Mike was born in the US but also spoke Spanish from childhood. My dad was born in England and my mom, Canada, so between us, our parents represent four countries. Here’s what I’ve learned about second language acquisition: We lose all our natural abilities around the age of ten, which, annoyingly is the age they start teaching it in school. I think bilingual education is a great idea, but it is not always looked on favorably, mostly by people who don’t understand. I worked as an executive assistant for a company many years ago after they were acquired by Daimler-Benz. I studied German three days a week at Berlitz. I picked up phrases and it helped with pronunciation, but if you’re never in a place where you can use it, it fades quickly. Thank you also for sharing that Livescience article. It’s an intriguing concept, isn’t it — that maybe we’re just trying too hard. Perhaps that’s why I’ve had some success with Rosetta Stone. It hasn’t helped one iota with German grammar, but I do feel fairly confident in my vocab and pronunciation (even if the words are in the wrong order, ha ha). Speaking of German, did you ever read David Sedaris’ essay, “Easy, Tiger”? It’s got a couple of naughty bits that may offend the more sensitive reader, but is laugh-out-loud funny. So beautiful! Looks like paradise! Glad you had a much deserved weekend getaway. Thank you, Karen. I felt like paradise. I hope one day to return. It looks like you had a lovely time; so glad you could get away for a well deserved break! I know what you mean about the real estate being a lure. It’s hard not to daydream about owning a chunk of paradise – lol. Thank you, Sara. You’re right, too about the daydreaming. We know full well that that’s what were doing, but we still stand there and debate the merits of a lower floor condo versus and upper (the price climbs with the floors, and of course the view). I’m so happy that you and Mike had this time together in such a magical place….everything you wrote warmed my heart and made me smile. Time to book the next visit! Thank you, Mary Elizabeth for your warm comments and good cheer. It was wonderful to relax and enjoy the beauty around us, and so much fun watching the cats and the turtles and the assorted birds. Ditto on what Pauline just said and I’m a fan of turtles as well. I tried to post on your FB page that you and Mike look like you were made for each other in every photo I ever see of you two together. I think that’s where the term “made for each other comes from” . Don’t think I’ve ever seen a happier couple. I could sure go for one of those cocktails. 🙂 Have always been a bit leery about going to Mexico but you make it look quite appealing. Glad you had a relaxing time. It’s so important. Marlene, you’ll be delighted to know that the hotel has a sea turtle nursery where they house thousands of eggs each year. They release the babies after they’ve hatched. They return to the sea, and return later to lay eggs. Thank you, Cathy. I thought of you when we were working our way through the five-course vegan tasting menu. It was fun being able to eat everything on offer. How nice. You earned it. Thank you for the very sweet card. I owe you a longer note than this. I promise one soon. Take care. Oh, I do love the turtles. You and Mike look very happy and relaxed. I’m sorry you were sick!!! 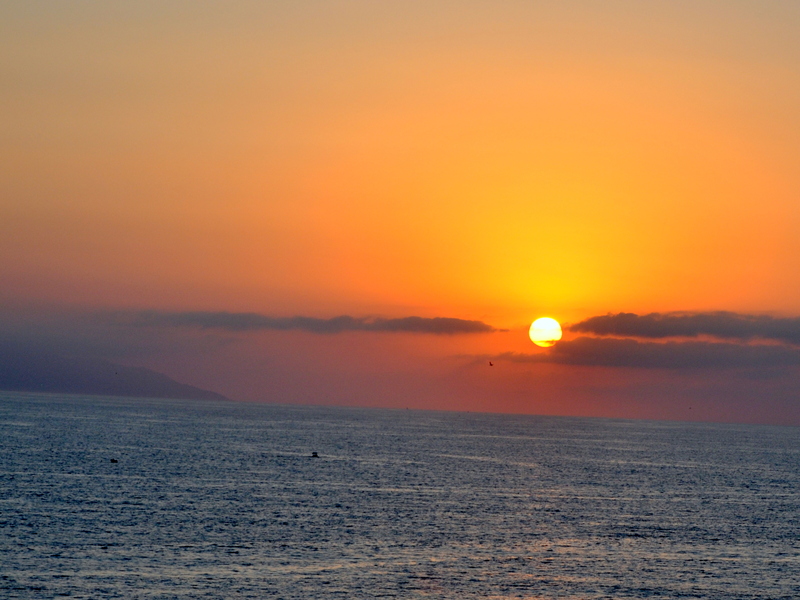 But what a nice way to get your recovery going–rest, warmth, good food, the sea…. Hi Lisa! The turtles were delightful. They spent most of their time on the rocks, with just an occasional dip in the pond. And guess what? The hotel has a nursery for sea turtle eggs. I’ll have to send you some pics. Do you have any winter travel plans? It’s been bitter cold on your coast. No travel. I had to cancel a cruise because of work, but my college roommate is coming out from CA over President’s Day. There are quite a few new museums and monuments she hasn’t seen. So I’ll take three days off then. I’m looking forward to it. In the midst of some crazy work schedules right now, but they’ll be over after next week. I’m sorry to hear you had to cancel a cruise. For work, no less. Boo! I’m sure this government shut-down nonsense is wreaking havoc with your nerves, too. I know you’ll have a great time with your college roommate. I suspect one never runs out of things to do in your neck of the woods. So true. There’s lots to do here. As far as the shutdown, it could wreak havoc, but somehow, I’m okay–lots of meditation and let me tell you it has helped. So I’ll just try to ride the wave and see where it takes me. Mediation is the new “wonder drug”. All these years they’ve been providing pharmaceuticals, when it turns out we have the ability to calm ourselves in our brain. As for the shutdown, we’ll know soon. Imagine if the rest of us did such a poor job every day. We’d have been fired long ago. There’s so MUCH in this post, and it’s all happy-making! The getaway does sound like the perfect antidote to the California worries, including the flu, and you didn’t have to go into cat withdrawal! Kerry, it was amazing how spotting so many cats added to that feeling of calm. Of course I missed our three, but knowing they were in the safe hands of my son helped a lot. Everything looked lovely, what a nice opportunity for some, ‘we’ time/ ‘me’ time ! Do you think the climate is very different than California? The flowers are beautiful. I love that they have a house cat, guest greeter. Did she like to sit on laps too? I’m going to love up Orlando because by then, I’ll be jonesing pretty bad I suspect. You will be away from your sweet kitties for a long while. I know that will be a challenge. Once in NZ, you’ll get Siddy and Orlando. I can’t wait to meet them. Mitzy liked attention, but she didn’t seem inclined for lap sitting. It’s probably too hot and humid for that on most days. She was so mellow though. Really quite amazing. Mexico is quite a bit warmer and also humid since it’s close to water and closer to the equator. The average January temps there are 80°F (26°C) high and	62°F (16°C) low. Here is San Jose, our average January is 60 F with a low of 42 F. Mexico is 1,800 miles further south. Wonderful pictures, you look like you had a great time! Thank you and greetings. Thank you for stopping by, Cecilia. Lovely! I’m glad you had a good time, especially after having been ill. Thank you, Cynthia! It was a wonderful respite. Now that’s a way to celebrate your recovery! It’s been on the cold side here of late, which makes Mexico sound all the more enticing but the closest I get is watching the cruise ships move in and out of the harbor. Kris, you live close enough to a harbor to watch cruise ships? Wow! That sounds really cool. Thank you, Debra. That’s so nice of you to say. So lovely! Glad you had a wonderful time!